Call for a Fast & Free Estimate Today! 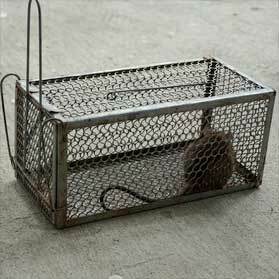 Have all Entry Points Sealed to Prevent Re-entry and Receive 50% Off Trapping Costs! Rats or mice keeping you up at night? Rats are nocturnal creatures, so they are most active from dusk until dawn. If a rat is seen during the day, it is generally an indication the nest has been disturbed, they are seeking food, or there is a large infestation. Scratching noises in your attic or lights starting to flicker? Rats chew due to excessive growth of their teeth. They will destroy electric wires, TV cables, AC ducting and anything you might have stored in your attic. Which could cause lights to flicker, possible fire, or loss in valuables. Pungent smell coming from your attic? Did you put poison out for rats? Maybe a neighbor? Now that you have an awful smell in your house, give us a call and we will send a qualified wildlife trapper out to locate and remove the deceased rodent (NO POISON in our trapping process). Signs of droppings in your home or business? Just returning from vacation? Seasonal Florida Resident or just returned home to see fruit left out with chew marks in it, pet food penetrated, droppings on the counter or floor. 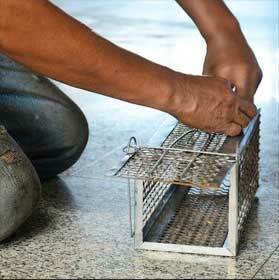 Let us come out to identify the rodent droppings and perform a Fast & Free Estimate. Unwanted wildlife on your property? Raccoons, armadillos, opossums damaging your lawn, vegetable garden, flower bed, etc... call American Rodent Sarasota to have a professional wildlife trapper safely trap and remove unwanted wildlife. Veteran Owned/Operated. Ask about our Military, Law Enforcement, and First Responder Discount. 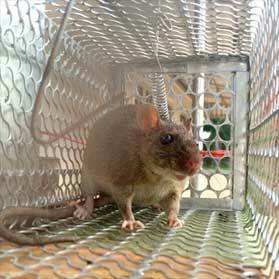 Fully Licensed and Insured wildlife trapper. Emergency 24 hour/365 days a year, on call Wildlife remover service. Sarasota Web Site Design & SEO by: Noble Webworks, Inc.